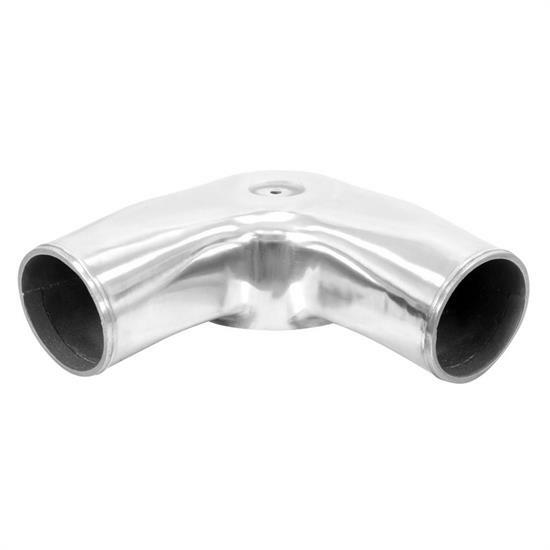 Spectre's polished cast aluminum dual plenum air intake has 4 inch inlets. It is 3.5 inches tall and it measures 8 inches from the air cleaner stud to each inlet. It fits carburetors and TBI throttle bodies with a 5-1/8 inlet. The 4" dual inlets are 90 degrees apart and designed to match up to all Spectre 4" tubing, filters and accessories.